In his book “Open” Andre Agassi writes about hating tennis, yet his life revolved around it, and he excelled at it. 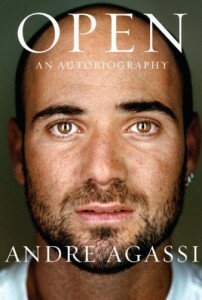 Agassi, former World No. 1, Career Grand Slam winner, and generally considered to be one of the greatest tennis players of all time, often sabotaged himself when playing. He lost matches by thinking he wasn’t good enough to return the ace or break his opponents serve. He was chasing perfection, and discovered along the way that perfection doesn’t exist. You don’t have to play or like tennis to enjoy the book, but I bet you’ll be captivated.